Hardness testing is one of the most common quick indicators of the state of your material strength. You’ll be provided with a hardness value in various scales in order to point to the current processing status of your material. 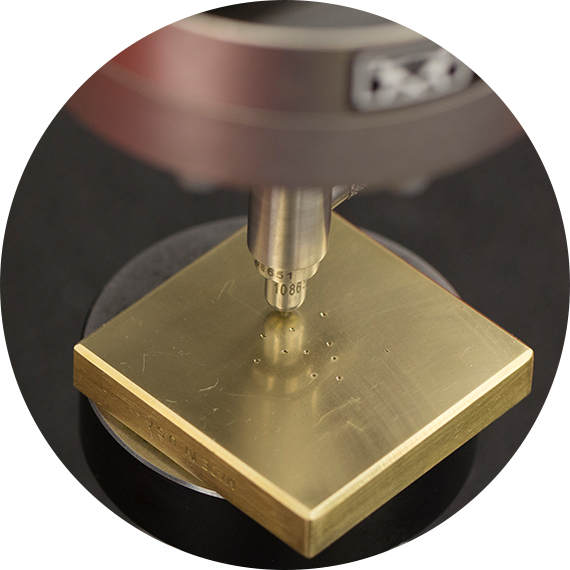 Rockwell hardness testing is performed on a variety of metallic samples, varying in hardness ranges. 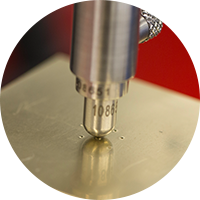 Our Rockwell hardness tester applies a specific load to a sample through a tungsten carbide ball or diamond indenter and measures the effect on the sample material. 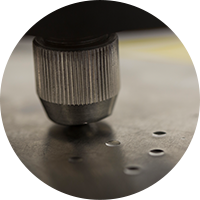 Our machine measures the hardness on multiple Rockwell scales, including B, C and superficial. Tests are performed to common international standards such as ASTM E18. Brinell testing can be used on almost any type of metal. The test equipment applies a 3000kg load with a tungsten carbide ball to the sample being tested. The technician electronically measures the circumference of the indentation to determine the hardness number in HBW. Tests are performed to common international standards such as ASTM E10.